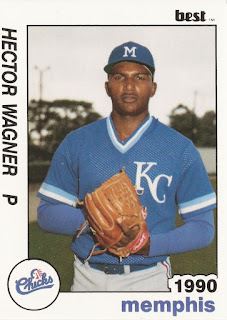 This was Hector Wagner's sixth total major league start, his first big league start of 1991. This was also where Wagner got his first major league win. In six innings of work against the Rangers this June 19, Wagner gave up just one earned run, sending his Royals on to a 15-2 win. That win, though, would be Wagner's only win in the majors. He got just one more start, his seventh overall, marking the extent of his big league career. 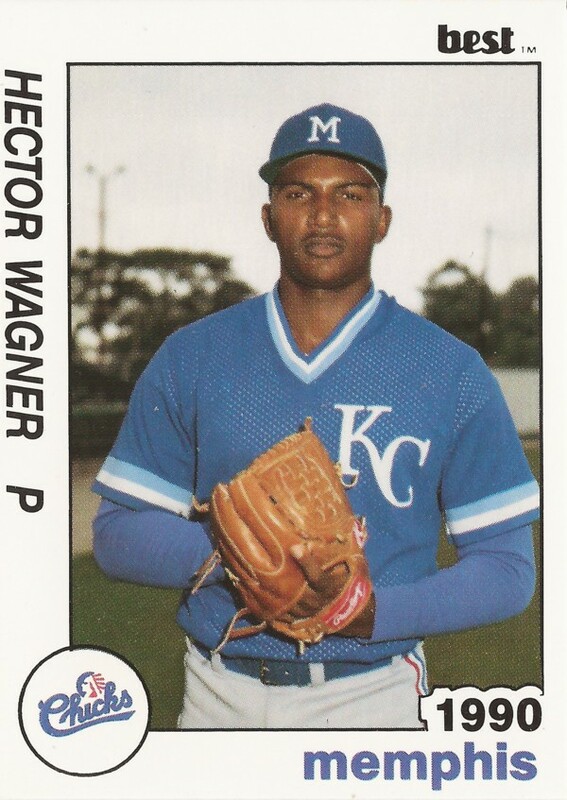 Wagner's professional career began in 1987, signed by the Royals as an undrafted free agent out of his native Dominican Republic. With the Royals, Wagner started in the rookie Gulf Coast League, getting 12 starts there, with a 3.06 ERA. He moved to short-season Eugene for 1988, getting 15 starts there. He went 4-9, with a 3.68 ERA. In one August 1988 game for Eugene, Wagner took a no hitter into the eighth inning, instead settling for a 5-2 win. By late-August, Wagner had a streak of 14 innings where he gave up just one run. He then was hit for six earned. Wagner moved to single-A Appleton for 1989, then AA Memphis for 1990. At Memphis, he went 12-4, with a 2.02 ERA. He also earned his first call up to the bigs. That September, Wagner ended up getting five starts for the Royals. In those starts, he picked up two losses and no wins. He also gave up 21 earned runs in 23.1 innings of work. For 1991, Wagner returned to the minors, playing at AAA Omaha. There, he went 5-6 in 14 starts. He also returned to Kansas City in June for those two final starts, his first big league win and his last big league loss. After not playing in 1992, Wagner got 23 outings, 17 starts, back in the Royals system in 1993, between high-A Wilmington and AA Memphis. But it was his final year in affiliated ball. After time in the Mexican League, Wagner is credited with time in independent ball, last playing in 2002, ending his career.